How many devices do you own that are connected to the Internet? You probably have a computer or two at home that does, and possibly a smartphone and tablet as well. 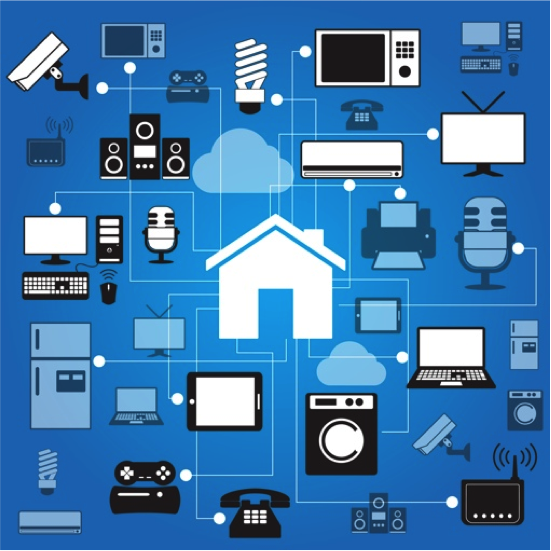 And don’t forget to add in connected smart home devices like remote cameras, smart thermostats, video gaming systems, smart TVs and your automated lighting. If you have a large number of Internet-connected devices in your home, you’re not alone. According to the latest Ericsson Mobility Report, the average U.S. household has 5.2 devices that connect to the net. It also finds that approximately 90 percent of U.S. households have three or more devices that connect to the net. Just under half of households have at least five devices, while nearly one quarter have seven or more. Naturally, these numbers are expected to quickly grow over the decade as the connected home industry explodes in popularity. Of course, we don’t need to stay in our homes to stay connected. The same report finds that a full 97 percent of U.S. homes have mobile phones. Mobile data traffic is also expected to grow rapidly, from 1.6 GB per phone per month today to 6 GB per month by the end of the decade. And worldwide, 3.5 billion people are expected to enjoy mobile LTE speeds by the end of the decade, and 90 percent of the world’s population over the age of 6 will own a mobile phone. You can read more from the Ericsson Mobile Report by visiting the company’s website.